This fashion month at times it felt like every stylist, editor, influencer, buyer and model was only wearing one colour: beige. However, once you look past the thousands of tonal outfits in street style images, you'll spot some more random colour trends that will have you in the mood for summer. 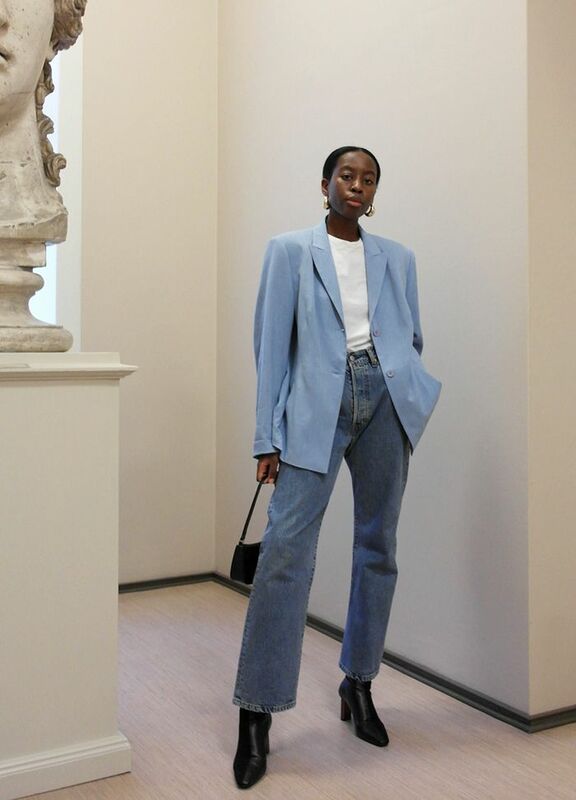 Baby blue didn't just steal the show this fashion month, it also stole a piece of my heart. From accessories to outerwear and even simple sweaters, this colour gives any item a soft yet statement-making touch. Millennial Pink is out in favour of a bolder hue: hot pink. If you're worried about how to style it, don't be. As you're about to see, this colour goes perfectly with white, cream, red, other shades of pink and even black accessories, so consider the research phase complete. I want you to imagine what the flowers on a sprig of lavender look like. That's what we're going for here. A bold tone that can either add to your look in the form of just one piece or make your look by way of a monochrome ensemble. Whichever way you go, you won't regret it. Arguably the scariest, but also my favourite (I think): Muppet green was everywhere this fashion month, making it impossible to ignore. And, contrary to what you might think, it's really easy to style. Just add neutrals (think beige, black and white) and more green. Whether you opt for a streetwear-inspired look or something sleeker such as a trench coat and trousers, mustard yellow is a colour for being seen in.